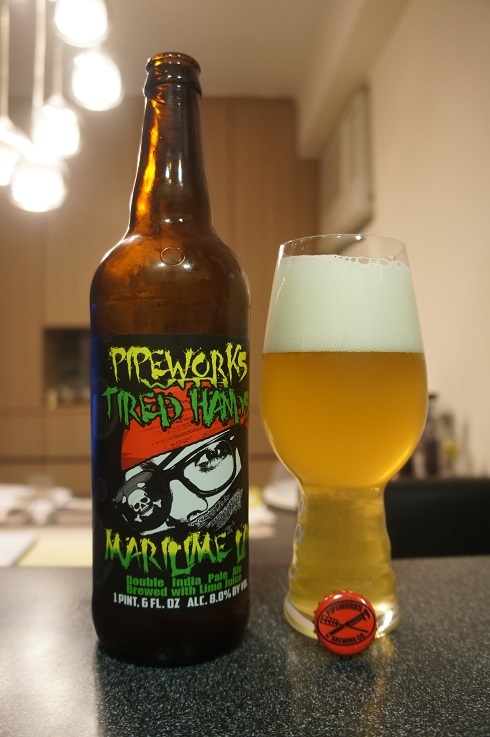 Category Archives: Pipeworks Brewing Company x Tired Hands Brewing Co.
Brewery: Pipeworks Brewing Company x Tired Hands Brewing Co.
Other Notes: Hops – Simcoe, Centennial and Sorachi Ace. Malts – 2-row, Marris Otter, White Wheat and Acidulated Malt. Other – lime juice, lime zest and dextrose. Brewer Description: (from bottle) Warriors from two clans have teamed up and hit the seven seas to bring you an IPA like no other. 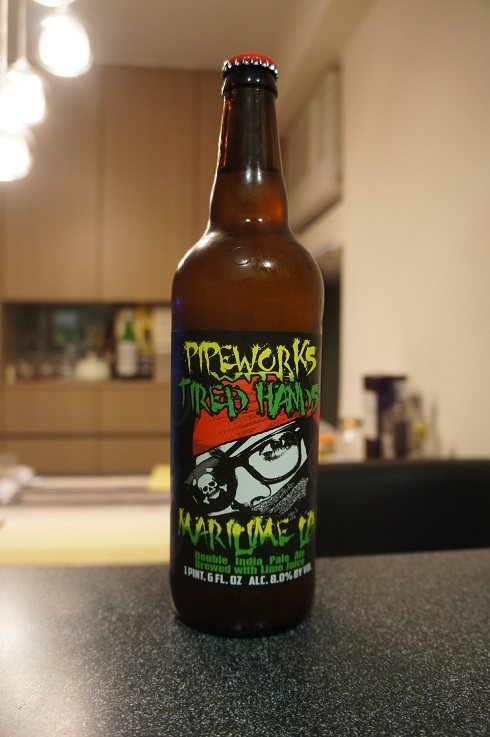 Pipeworks and Tired Hands have set sail with Simcoe, Centennial and Sorachi Ace hops in hand. We’ve also added enough lime zest and juice to keep things tart. Enjoy this unique collaborative effort before you walk the plank, ya Scurvy dog! Appearance: It poured a golden straw yellow colour with a three finger white head that had pretty good retention and left nice lacing. Aroma: Strong lime with a touch of grapefruit pith and lemons. Taste: Like the aroma, tangy lime is at the forefront followed by some lemon, zest and grains. Overall: This was not bad but perhaps a bit too much lime such that it overpowers everything else.